To begin with, Elsie Gregory MacGill was the first woman aeronautical engineer. After having earned a degree in electrical engineering at the University of Toronto in 1927, she went on to obtain a Masters degree in aeronautical engineering at the University of Michigan in 1929. With her educational credentials well in hand, she should have been able to jump right into the fast-paced evolution of the aeronautical field, and she probably would have, had it not been for a sudden battle with polio just as she finished her coursework. Instead of celebrating her educational and professional achievement, Elsie was struggling simply to get back on her feet. To her credit, Elsie was not prone to giving up. Despite her physical challenges, she kept drafting and writing articles on aviation including publications in Chatelaine and Vogue. And, when she felt strong enough she started post-graduate studies at the Michigan Institute for Technology, before accepting a job at Fairchild Aircraft Limited in the Montreal area. This was an important opportunity, and it was a job offer in the middle of the Great Depression! It was also a springboard that led to a new job offer as its Chief Aeronautical Engineer in 1938 at Canadian Car and Foundry in Fort William, Ontario (now Thunder Bay, Ontario). Just before leaving Montreal, Elsie accomplished another important professional first – membership in the Engineering Institute of Canada (EIC). With the support of key men from the University of Toronto and her professional network, she became the EIC’s first woman member, and a passionate and dedicated member at that. When reflecting on her new position at Canadian Car and Foundry Elsie noted, “To be Chief Engineer at 33 years of age is not bad”. Indeed it was not, and this was the opportunity that provided her with the chance to design and oversee the production of the Maple Leaf II (another first for a woman) and introduced her to the Hawker Hurricane aircraft. 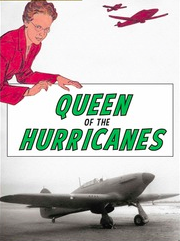 Her work on these aircraft for the Battle of Britain led the American True Comics creation of “Queen of the Hurricanes”, a moniker that subsequently became welded to Elsie’s historical identity despite the fact that she led a very rich and multifaceted life after this point. Elsie later continued her aeronautical engineering career as an independent consultant, but she also later fused it with her feminist and social activism. For instance, she rose within the Canadian Federation of Business and Professional Women’s Club to national president (1962–1964), and later served as a Commissioner on the Royal Commission for the Status of Women in Canada (1967–1970). In these roles she argued strongly for women’s equality, especially economic equality, and the importance of seizing the promise of technology in creating a better world. Despite these prominent feminist activities and her support and mentorship to women in engineering, Elsie struggled with the concept of being a “woman” engineer. In fact, it was not until late in her life that she was able to see the inherent barriers to women within the engineering profession, including some that she too had faced. Due to her lifelong achievements Elsie received many accolades and awards, including the Order of Canada and four honorary doctorates, the first of which was awarded by the University of Toronto. Moreover, she has been commemorated in a wide range of ways including awards in her name (e.g., The Elsie MacGill Northern Lights Award), historical markers in Toronto (City of Toronto) and Thunder Bay (Parks Canada), through written accounts (articles and books), and currently at the Canadian War Museum’s World War Women exhibit. In summary, who was the Queen of the Hurricanes? The simple answer is still correct, Elsie Gregory MacGill, but as we have seen her life was about more than one aircraft in wartime. In fact, she was both an aeronautical and social engineer, whose contributions have helped to make Canada what it is today. Moreover, fleshing out Elsie’s life contributes to the rich history of women in engineering in Canada, and provides roots to the actions of women in engineering today, such as the NSERC Chairs for Women in Science and Engineering, and Engineer Canada’s “Women in Engineering Initiative”. Crystal Sissons is an indépendant historian and author of Queen of the Hurricanes: The Fearless Elsie MacGill. All sources, unless specified are contained in Crystal Sissons, Queen of the Hurricanes: The Fearless Elsie MacGill, (Toronto: Second Story Press, 2014). Aviation was moving very fast. The Wright Brother’s first powered flight was in 1903, and by 1929 planes were becoming increasingly popular especially with barnstormers and the possibilities the invention promised for the future. Quoted in Crystal Sissons, Queen of the Hurricanes, 48. Please see: http://www.engineerscanada.ca/women-in-engineering, http://www.nserc-crsng.gc.ca/Professors-Professeurs/CFS-PCP/CWSE-CFSG_eng.asp (Accessed November 16, 2015).